It’s one of the most common maintenance procedures that should be done, especially to landscape trees. Forest trees can grow well through nature’s pruning ability. But this isn’t the case with landscape trees, as they require a different level of care and maintenance. This is done not just to maintain its aesthetics but also its structural integrity. However, before you even perform this procedure you must learn the biology of your tree. Bear in mind that improper trimming can cause lasting damage. It may also shorten the life of the tree. Each branch of the tree has a purpose. Thus, when you cut the branches, they must be removed with a reason. You may trim them to remove dead branches or improve the tree’s form. You’re also eliminating them to reduce their risk of causing injury to some people. Majority of the time, however, mature trees are trimmed or even cut as part of preventive measures. Sometimes, trimming or thinning is no longer improving the tree’s health. Then again, tree trimming isn’t only about learning the tree’s biology but it’s also about knowing the art of trimming. It involves understanding the tree’s flaws and how to eliminate its defects. But the artistic side of trimming requires removal of dead wood while considering how to shape the tree to maintain its aesthetics. You may read various trimming books and some guides that you can download online. But most of them are talking in foreign language. Thus, it’s best to leave it to the professionals. Your Way Tree Service, Inc. is one of the companies in the US that offers tree trimming service. It’s done by their certified arborists. You can be sure that the natural beauty of your trees will be preserved and maintained. Plus, they can help in preserving the strength and structure of the tree to help them add an appeal to your property. What is the prime time to trim trees? Routine trimming can be accomplished any time of the year. It does little effect on the tree. However, the prime time to trim your trees is winter. It’s the time of the year that most leaves are gone. Woody plants are dormant, allowing it to be an ideal time to trim and cut some of the branches. Well-trimmed trees can produce more fruits and flowers. With sensible trimming, you’re helping trees in controlling and eliminating pests and diseases. In this way, you don’t have to apply complicated care procedures for those trees. Trimming during winter season invigorates most trees as it leaves the tree with extra root. It also allows its energy reserves to support the new growth of the branches that remained. Dormant-season is also a great time to trim trees as you can easily see tree branches without those leaves. Then, it gives you reason to go outside and appreciate the mild winter weather. But just because winter is the best time of the year to trim trees, there are some trees that shouldn’t be trimmed during this time. Examples will include walnuts, elms, maples, dogwoods, and birches. If you’re not sure about the best time to trim your trees growing in your garden, then better ask trained professionals in tree trimming. Your Way Tree Service, Inc. is a member of International Society of Aboriculture (ISA). The professionals, who’ll trim down your trees, are trained. They know what trees to trim during what season. You should call their professional arborists to cut or trim branches that you can’t reach from the ground using pole pruners. 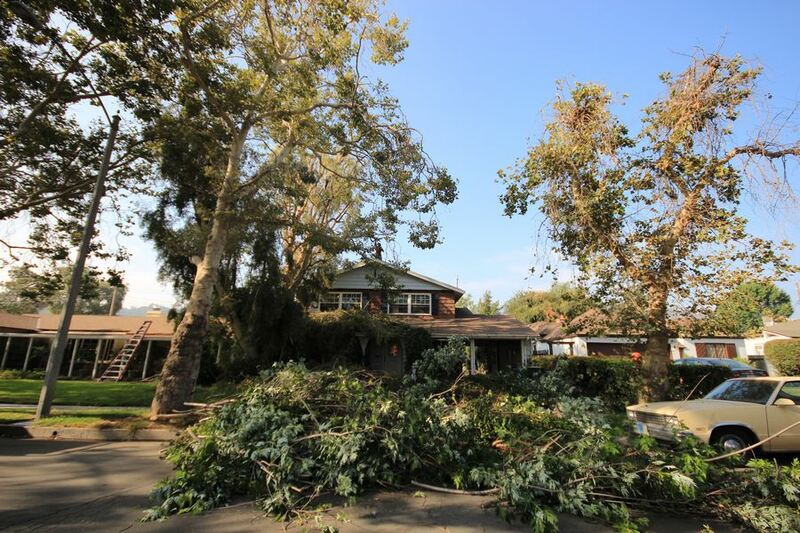 You’ll also need their assistance if the tree branches that need to be trimmed or cut are near power lines. What benefits you can obtain from tree trimming? There are a variety of benefits from tree trimming. Some of the most important ones are listed below. Enhance structure. Sometimes, tree trimming is done for the purpose of improving the tree’s structure. It’s essential to make sure that it produces branches with desirable architecture. Not only that. It also preserves the structure’s integrity. Improve health of the tree. Trimming of branches will remove some of the tree’s diseases, not just dead and broken branches. In this way, fungi won’t penetrate and infect other trees. Maximize beauty. 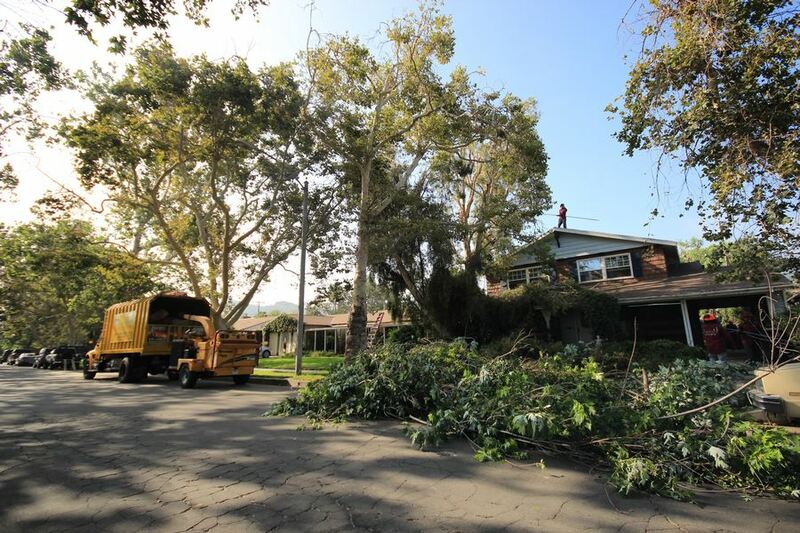 Tree trimming is also about restoration and to maintain appearance of the trees. When the characteristic form of the mature tree has deteriorated, you can restore it through tree trimming. Protect against storm damage. It also prevents dead limbs from falling and cause danger to the people who are staying under the tree. This procedure should also be done even in low-hanging branches to eliminate interference with pedestrian. Enhance landscape value. It increases your landscape’s value by enhancing its beauty. If you’re near lakes or valleys, it creates visual access to them while still maintaining your privacy.